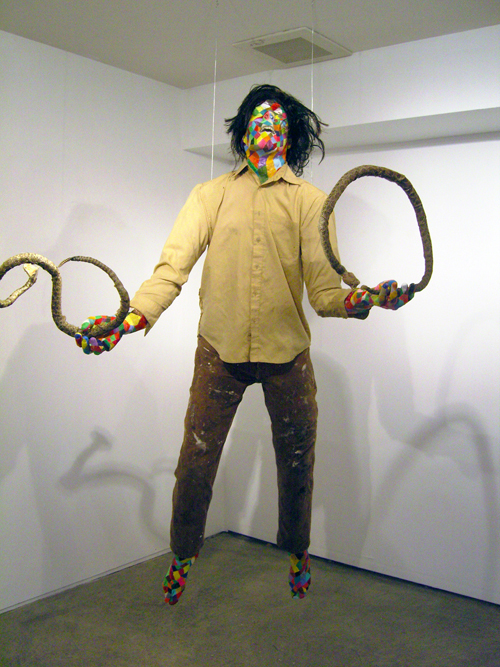 Ben Shaffer’s works are dynamic installations that integrate sculpture, painting, and performance. His complex pieces often require direct interaction from viewers, eschewing simple subject-object relationships in favor of relational negotiations. Through his makeshift neo- psychedelia, Shaffer explores the legacy of counter-cultural imagery, specifically its fragile utopic horizons and ever-receding promises of enlightenment and transcendence. Shaffer lives and works in Los Angeles, and received his MFA from Claremont University in Southern California.